Tetris is an addiction. Of this there is no doubt in my mind. You just have to keep playing. It drives you to keep playing it. 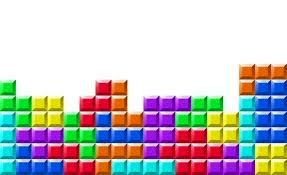 You can’t quit Tetris. But you must. Eventually everyone stops playing Tetris, even the best. Eventually you have to put the controller down. It’s when to put the controller down that Tetris helps with. Some people don’t know when to stop. And Tetris is a way you can learn when to stop without any major consequences. I mean, you could end up playing Tetris all the time and doing nothing else, but that’s the case with almost any video game. He saw the colors and was never heard from again. The real reason Tetris is so good is two reasons, really. First it has nothing that could be considered objectionable. It’s just organizing falling blocks. The second is that the game ends every ten minutes or so. Even if you’re super good, a game of more than 20 minutes is insane. The point is that the game ends, which gives you time to decide whether or not to continue. Learning to quit earlier and earlier will teach you how to moderate and break your habit (and if you don’t, at least you get wicked awesome at Tetris). I know that’s not the most descriptive advise, but it is true. At least it works for some people. Even if you don’t quit, getting addicted to Tetris is one of the best addictions you can have, it won’t hurt your body directly and can probably improve your brain strength in some areas. And if you have friends they can always drink a beer and watch you play Tetris as your social activities.